The GRAFTJACKET™ Matrix is used to provide supplemental support, protection, and reinforcement of tendon and ligamentous tissue; to be used as a periosteal patch or covering; or for protection and support of bone and tendons in foot & ankle and hand surgery. It is a human dermal collagen matrix that is readily incorporated into the body. The Matrix undergoes a patented process that renders the material essentially acellular and is freeze-dried with a proprietary process that prevents the formation of ice crystals to preserve the intact matrix including vascular channels. The GRAFTJACKET™ Matrix provides a scaffold for host cell repopulation, revascularization and, ultimately, conversion to host tissue. Coupled with excellent tensile and suture retention strength*, the biological characteristics of the GRAFTJACKET™ Matrix make it an excellent scaffold to reinforce primary soft-tissue repairs throughout the body while eliminating morbidity associated with harvesting autograft. Este sitio es para visitantes de los Estados Unidos. 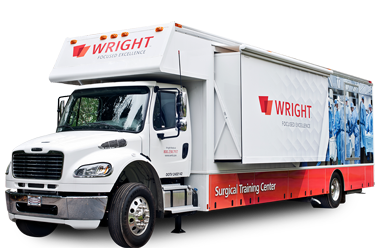 ™ y ® indican marcas comerciales y marcas registradas de Wright Medical Group N.V. o sus filiales.